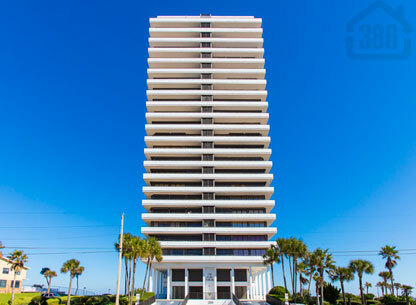 Aliki Forum is a beautiful oceanfront building in the heart of it all in Daytona Beach. Enjoy the sun and sand year round from these spacious and convenient units. Building features include underground parking, fitness room, oceanfront pool, onsite management, and wrap around balconies for breathtaking views on a daily basis. Great restaurants and shopping are within walking distance to your new home in Aliki Forum, and don’t forget about the soft, white sands that sprawl across your backyard. Aliki Forum is a great condo option in Daytona Beach. Call us today to experience it for yourself.